Went to a pain specialist today and hopefully I will be ending the month just a little more pain free. That will certainly make my life a whole lot rosier. Plus I think I've got a really good tenant for my rental. I'm feelin' a little luckier than I did a couple of days ago. Oh I should have bought a lottery ticket!!! 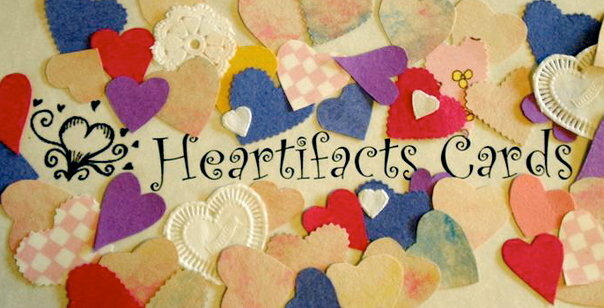 Well the next time you need a card, remember the best, a Heartifacts Card. It won't break the bank and it will be the most impressive card you will ever give. While we're waiting for the next holiday or birthday....here's a St. Patty's Day card with my little Leprechan son on it!! !